When businesses suffer losses in a calendar year, well-structured corporate tax codes allow them to deduct those losses against previous or future tax returns. These provisions are called net operating loss (NOL) carrybacks and carryforwards. 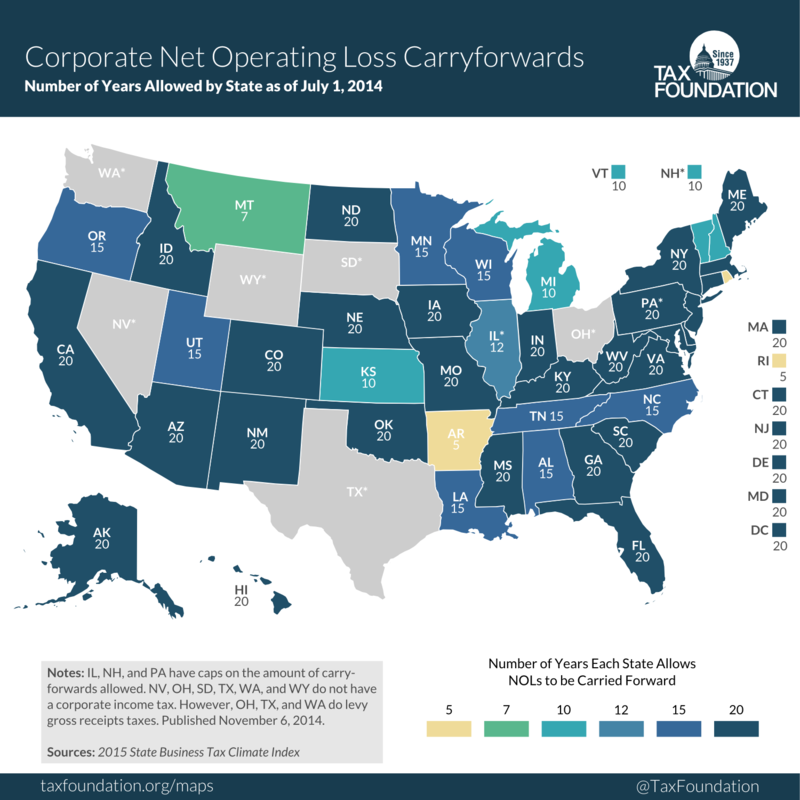 While the federal code allows 20 years of NOL carryforwards and 2 years of NOL carrybacks, states vary widely on their net operating loss policies. Net operating loss deductions are important because many businesses operate in industries that fluctuate greatly with the business cycle. They might have really fantastic profits one year, but then be in the hole the next year. NOL carryforwards and carrybacks help those businesses to “smooth” their income, so that the tax code is more neutral with respect to time. Below are two maps taken from data in our 2015 State Business Tax Climate Index, one showing the number of NOL carryforward years allowed by each state’s corporate income tax code, and the other showing NOL carryback years. 8 states and the District of Columbia conform to the federal standard of offering 20 years of NOL carryforwards, while eight states offer 15 years. Other states are less generous; Illinois offers 12 years, Kansas, Michigan, New Hampshire, and Vermont offer ten years, Montana offers seven, and Arkansas and Rhode Island only offer five. Illinois temporarily suspended its NOL deductions entirely in conjunction with a large corporate and individual income tax hike in 2011, but those provisions have since been reinstated. 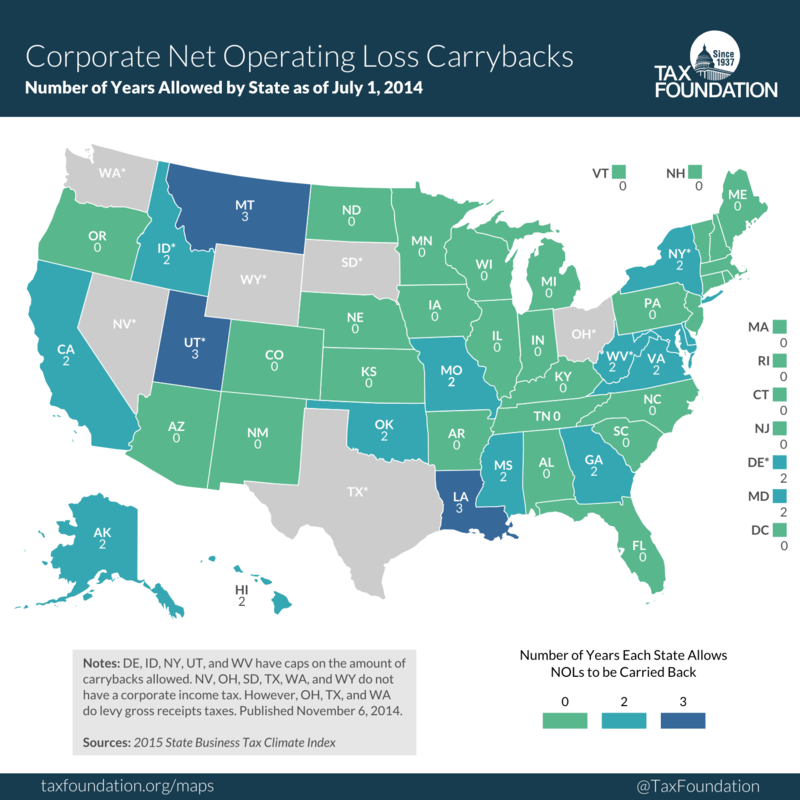 Nebraska and New Mexico this year increased their NOL carryforward provisions from 5 to 20 years as a component of corporate tax reform in those states. 13 states conform to the federal standard of offering 2 years of NOL carrybacks, and three states have a more generous provision of three years. 28 states and the District of Columbia do not allow NOL carrybacks. It is also important to mention that some states limit the effectiveness of their NOL policies by placing a “cap” on the net operating losses that businesses are allowed to carry forward or back. 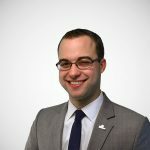 New Hampshire caps its carryforwards at $10 million, Pennsylvania caps its carryforwards at $4 million, and Illinois caps its carryforwards at only $100,000. Utah caps its carrybacks at $1 million, West Virginia at $300,000; Idaho at $100,000; Delaware at $30,000; and New York at just $10,000. The New York cap will be eliminated on January 1, 2015, thanks to favorable corporate tax reform passed this year.